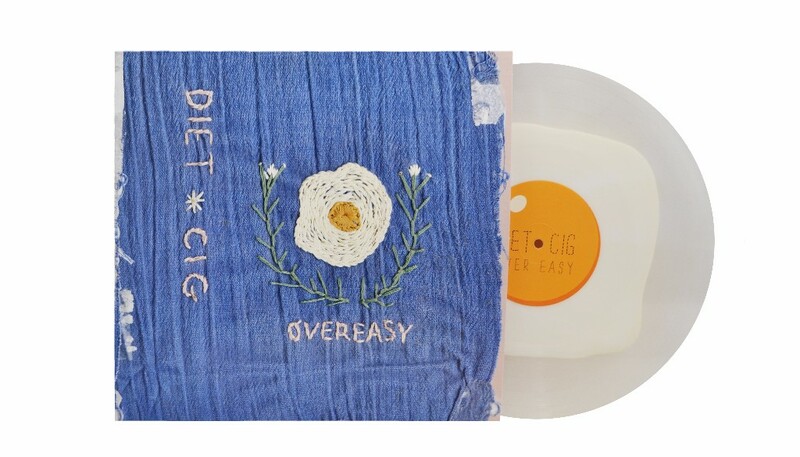 Pop-punk duo Diet Cig are proving that it’s better late than never: They’re throwing it back to the beginning by releasing their debut 2015 EP Over Easy on vinyl for the first time ever, and not a moment too soon. The “Fried Egg” vinyl will be limited to only 1,000 copies and will be available Sept. 8 via Father/Daughter Records. Along with the vinyl, Diet Cig have also premiered the video for their Over Easy track “Harvard.” Directed by Emily Dubin, the clip for the anthem features roller derby girls and lots of balloons, the makings of a good ol’, anti-Ivy League time. The Over Easy vinyl is available for preorder here. Watch the video for “Harvard” above, and check out the “Fried Egg” vinyl and dates for Diet Cig’s tour below, along with our review of Diet Cig’s full-length debut Swear I’m Good At This and a performance from the Paste Cloud.